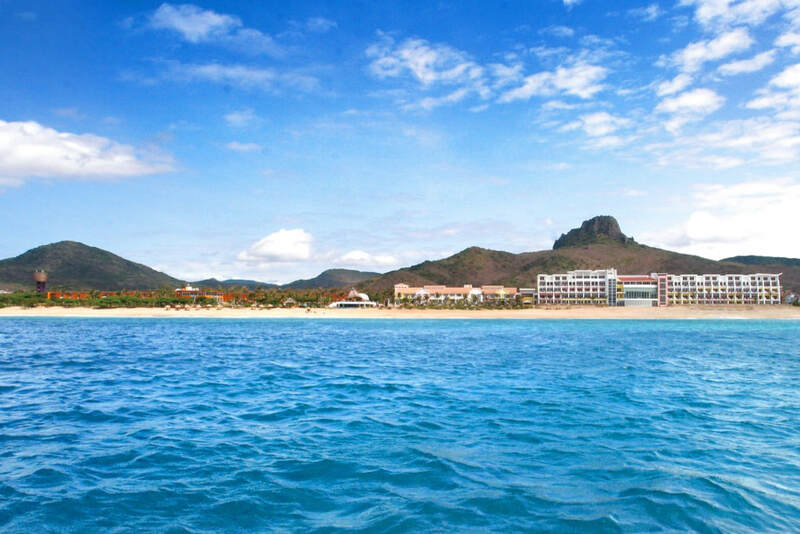 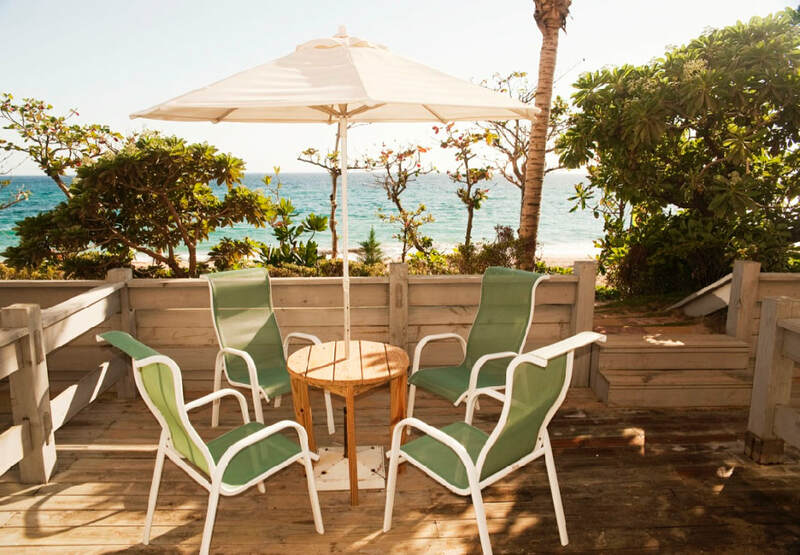 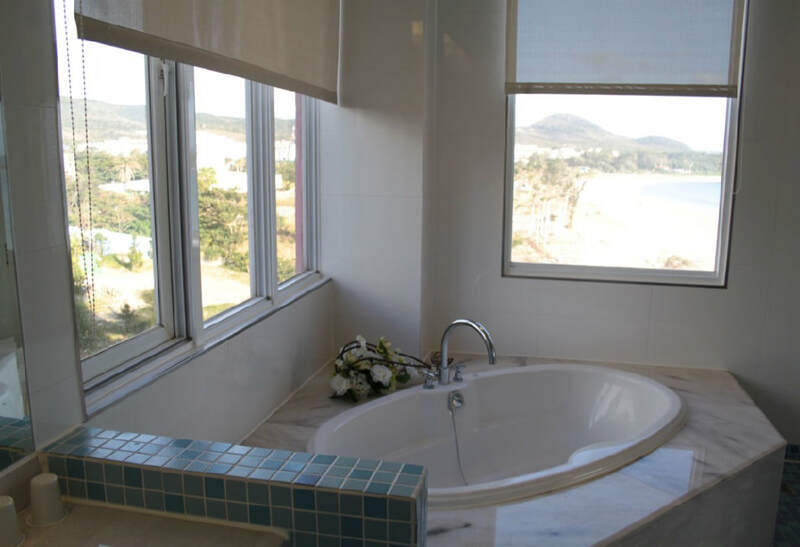 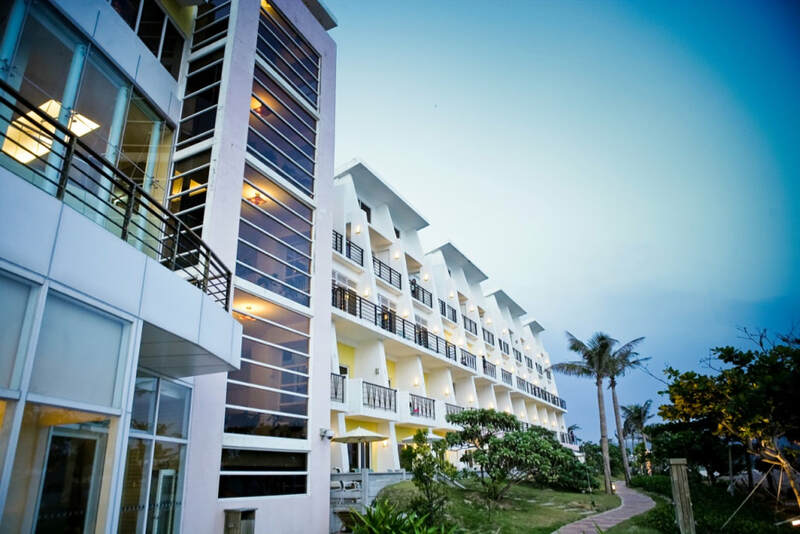 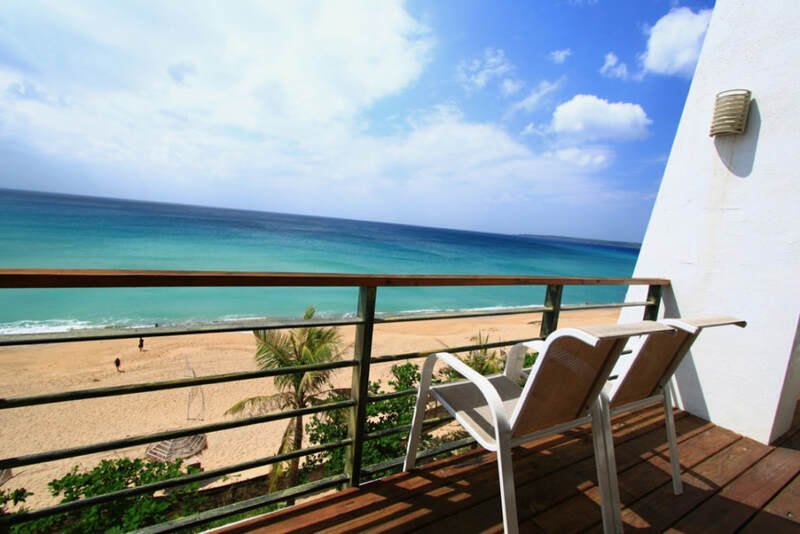 Welcome to Kenting Resort, the official website of the Chateau Beach Resort in Kenting. 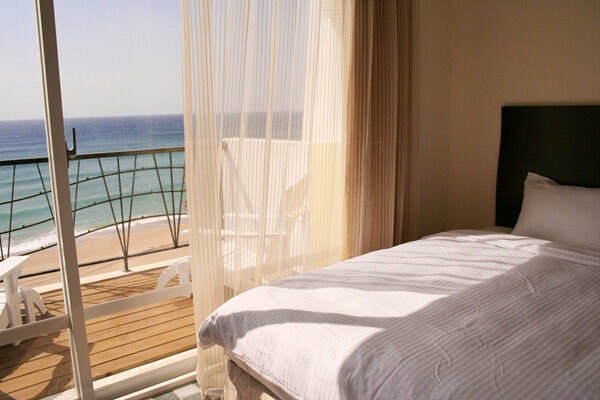 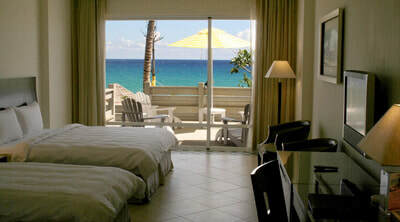 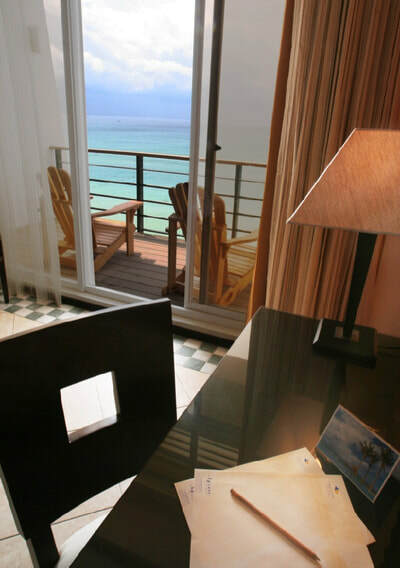 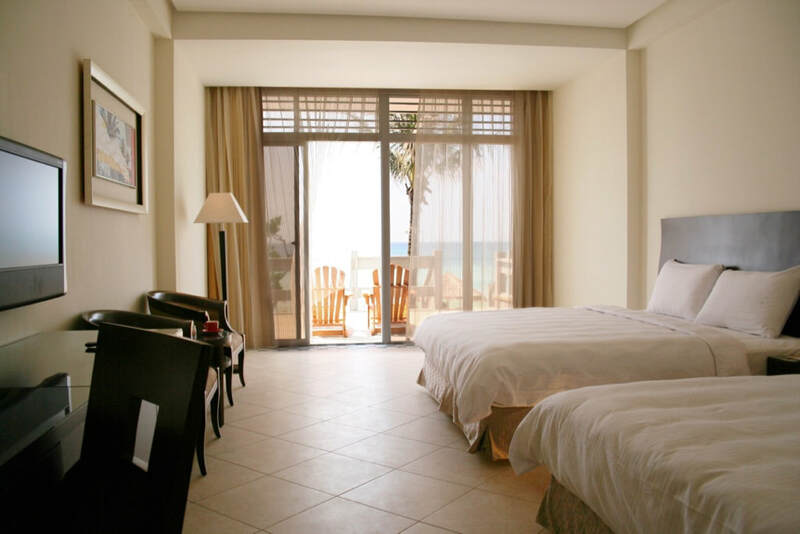 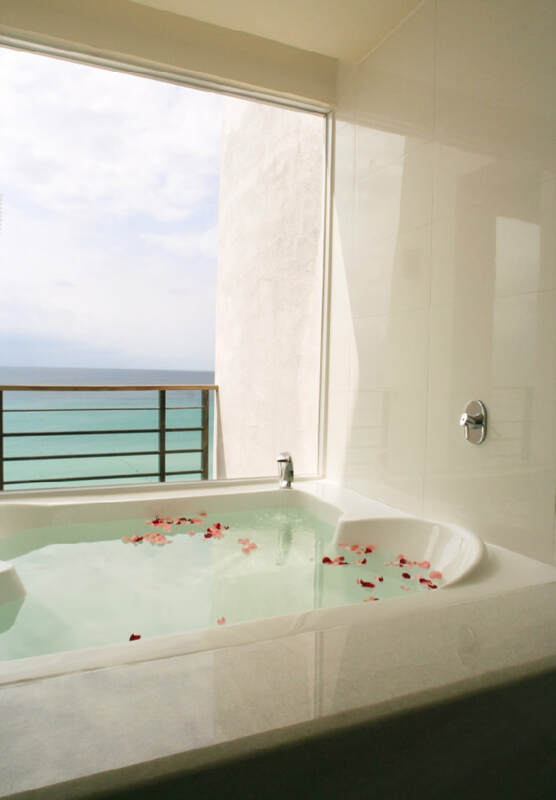 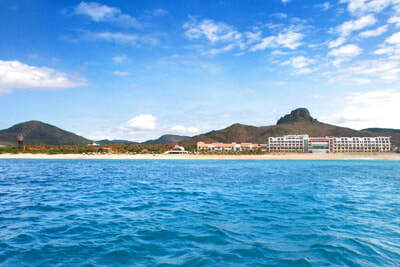 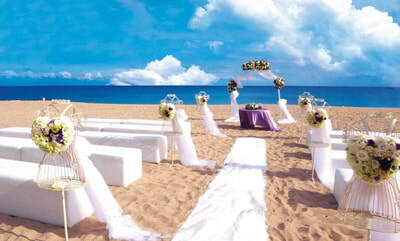 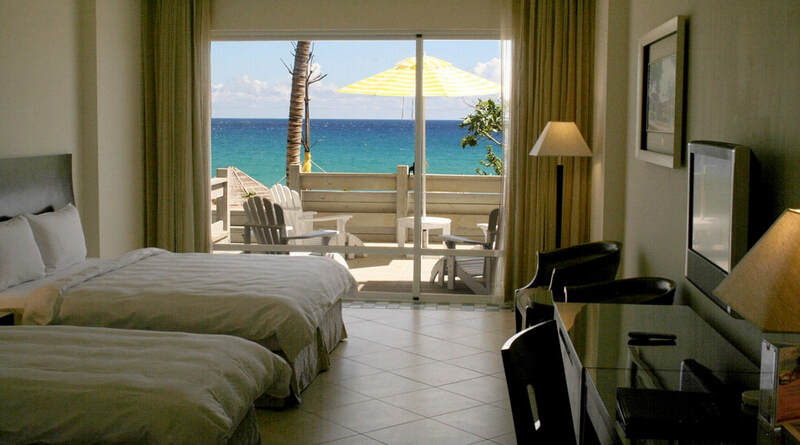 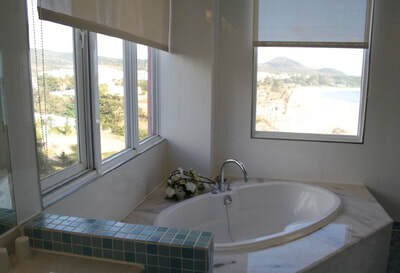 A luxurious hotel that lies on the beach in the heart of Kenting National Park in southern Taiwan. The Chateau Beach Resort has 295 sumptuous rooms & suites, and an exclusive 3km private beach that was until recently reserved only for the Presidential Palace. 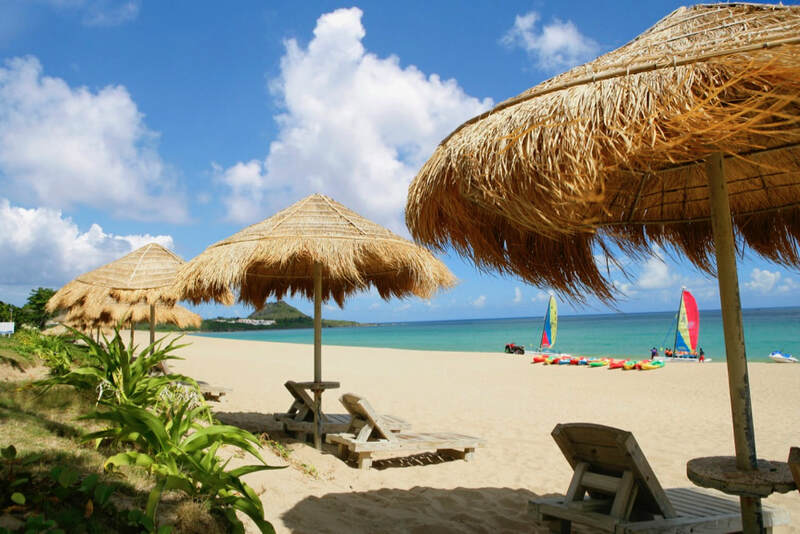 Kenting is located in Hengchun, part of Pingdong County in southern Taiwan. Just 90 minutes away from Kaohsiung International airport and only 3 hours from Taipei International airport via High Speed Rail. 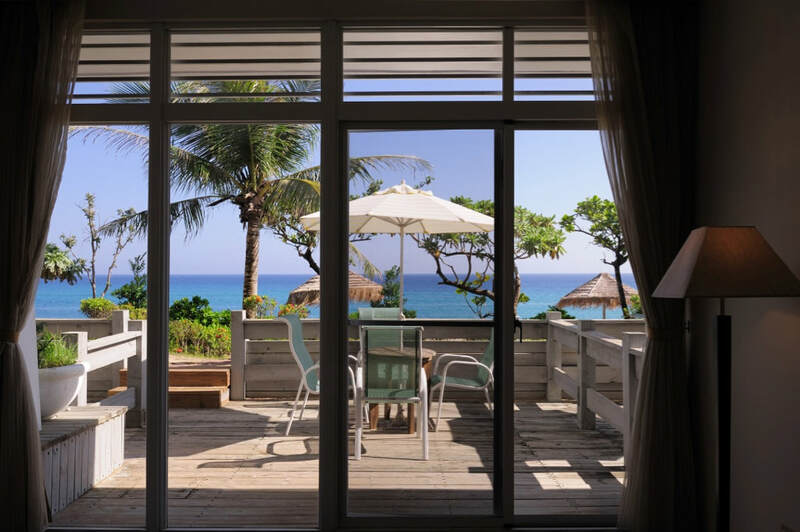 Booking direct via Kenting Resort qualifies you for our ‘Best Price Guarantee‘ – our rates will not be beaten anywhere else. ．(Weekdays) Check-in Time: After 3:00 p.m.
Check-out Time: Before 12:00 p.m.
．(Weekend/Public Holidays) Check-in Time: After 3:00 p.m. 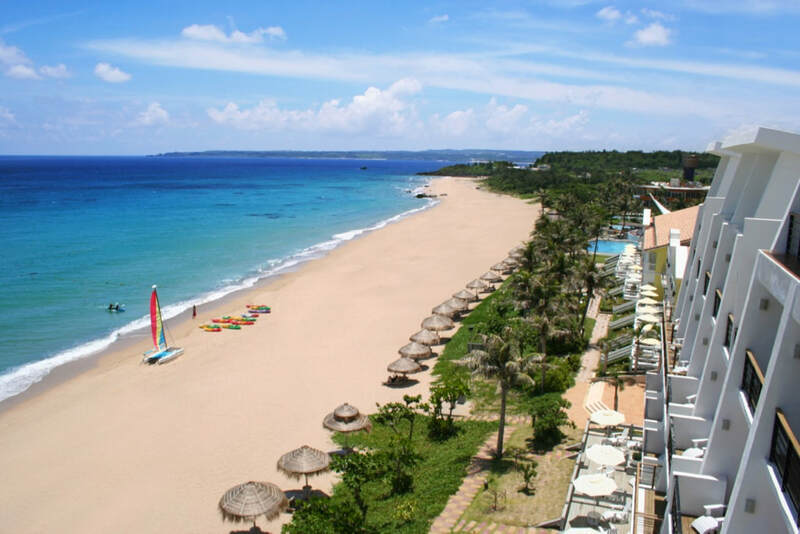 The Kenting Chateau Beach Resort is located in Kenting, HengChun, Pingdong County in southern Taiwan. Kenting is 1.5 hours south of Taiwan’s second city Kaohsiung. So first you must get to Kaohsiung which can be done by plane, bus or High Speed Rail. 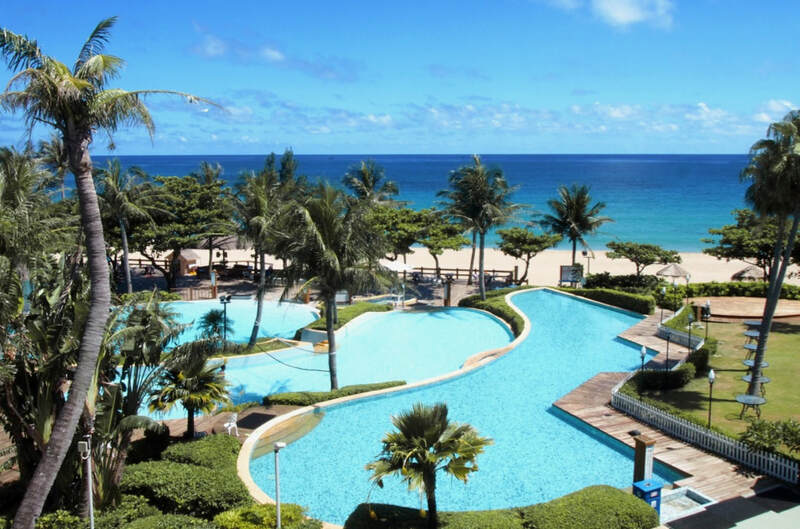 The resort has a daily pick up service from the High Speed Rail Station in Koahsiung. The shuttle bus leaves from Koashiung at 1.50pm everday from outside Exit 2 of the station. 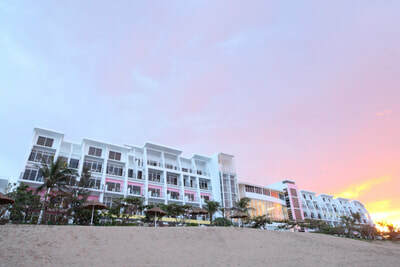 The shuttle service returns daily arriving at the High Speed rail station at 1.30pm. 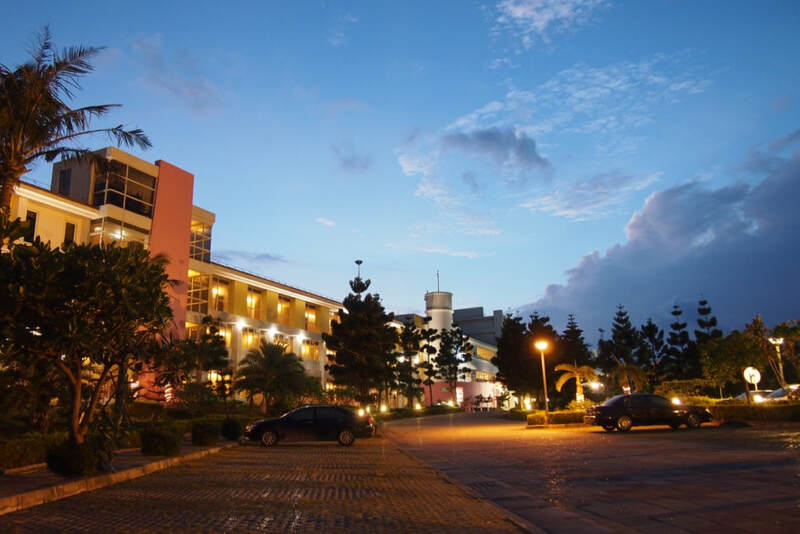 You need to book 3 days in advance to guarantee a seat on the bus, for all enquiries regarding our pick up service please email us at int_dept@ktchateau.com.tw. 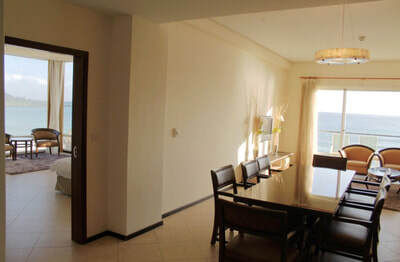 It costs NT400 (US15) per person for a single trip. 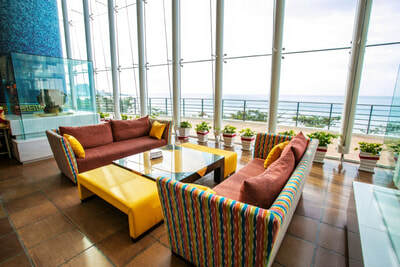 The hotel can arrange for a tax to pick up from Koashiung airport at a cost of NT2200 (US74) per way. 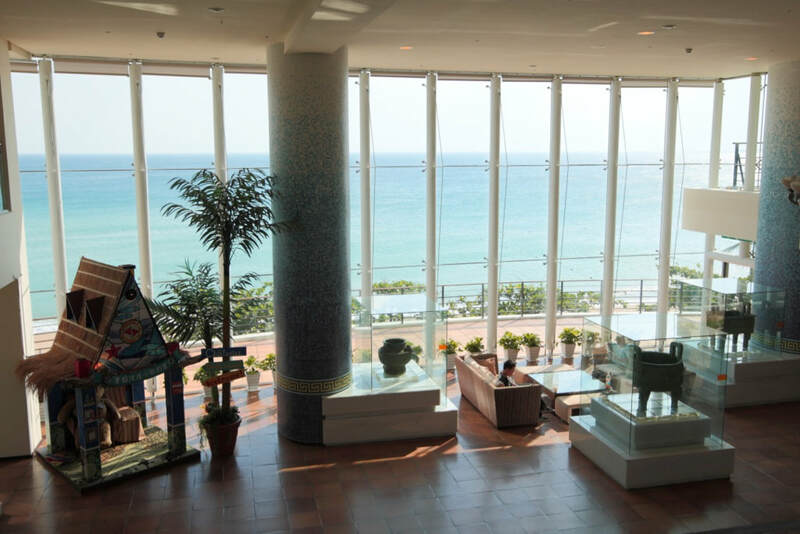 If you are coming from abroad the best option is to fly directly to Kaohsiung International airport. There are more than 10 flights a day to Kaohsiung from Hong Kong and many other Asian capitals fly to Kaohsiung. Alternatively you can fly to Taipei which has a lot more direct International flights and after visiting the 101 Tower (until recently the world’s tallest building) and checking out the National Museum, you can take the impressive High Speed Rail and cruise south at over 300Km per hour.The High Speed Rail will bring you to Kaohsiung within 1.5 hours where we can pick you up.